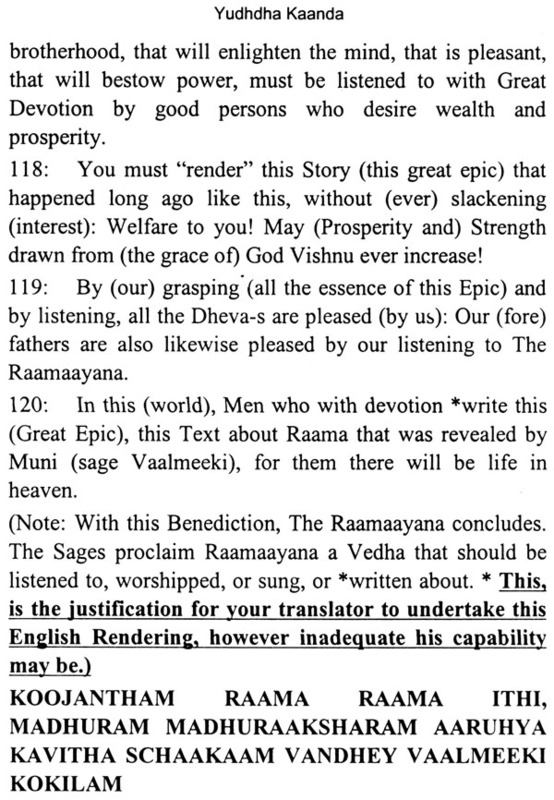 Brahma, the Lord of Creation told the saint - poet Valmiki to write the story of Rama and added "Till the mountains stand and Rivers flow, the tale of Rama shall live in all the worlds". 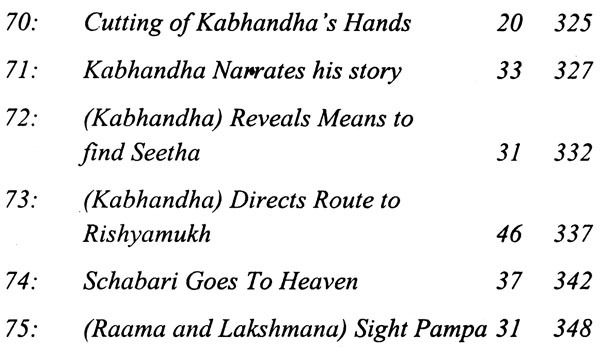 True to Brahma's words, there is hardly any country in the world where Rama Katha is not known. In east Asia, Thailand, Laos, Indonesia claim that the story is of local origin while in others, the epic is translated into their own languages. 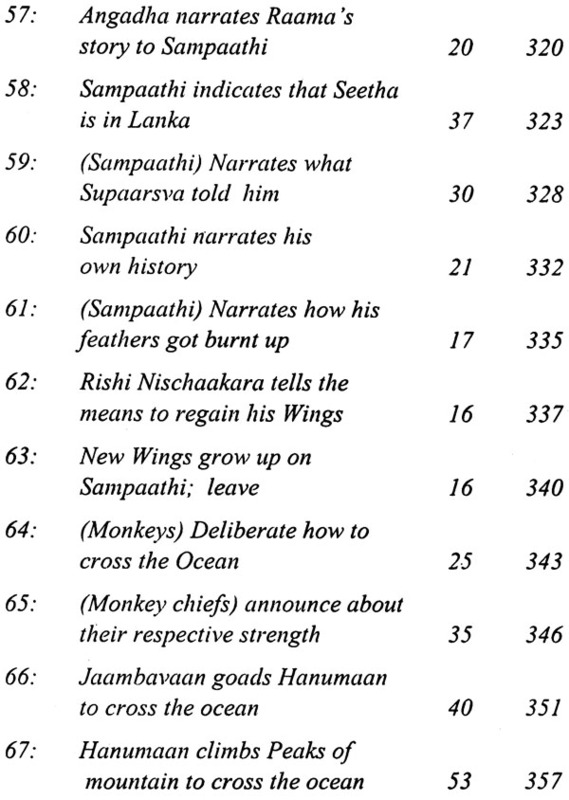 In India, Ramayana is not an epic: it is a part of the ancient scriptures. 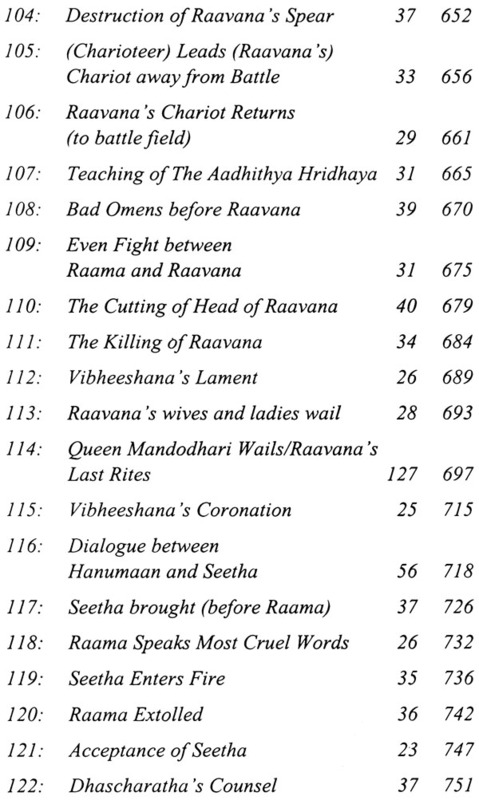 The unique feature of Ramayana is that one never tires of hearing, reading" seeing in dances, dramas and films. That Ramanand Sagar's Ramayana on India's television was watched by millions of people and that they wanted, a re-run of the pictures, demonstrates the deep rooted sanctity that people bestow on Ramayana. 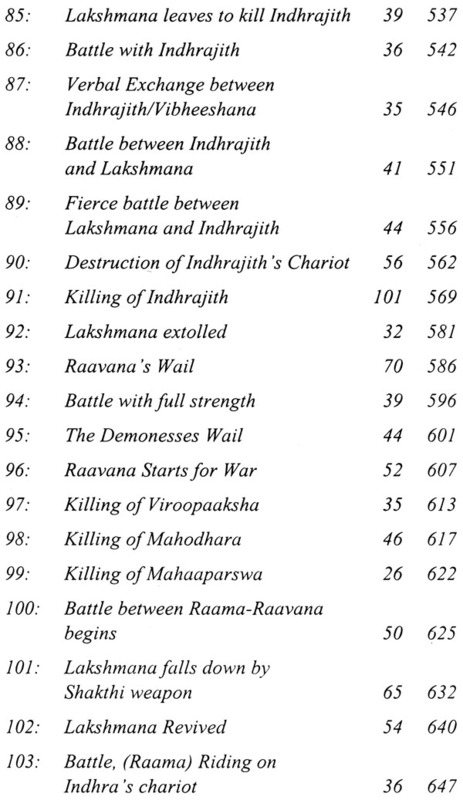 Again, that the one millionth copy of the Ramayana written by the erudite scholar statesman Pujya Sri C.Rajagopalachary and published by the Bharatiya Vidya Bhavan is about to be released in a few days, bears testimony to the unquenchable thirst for Rama Katha. 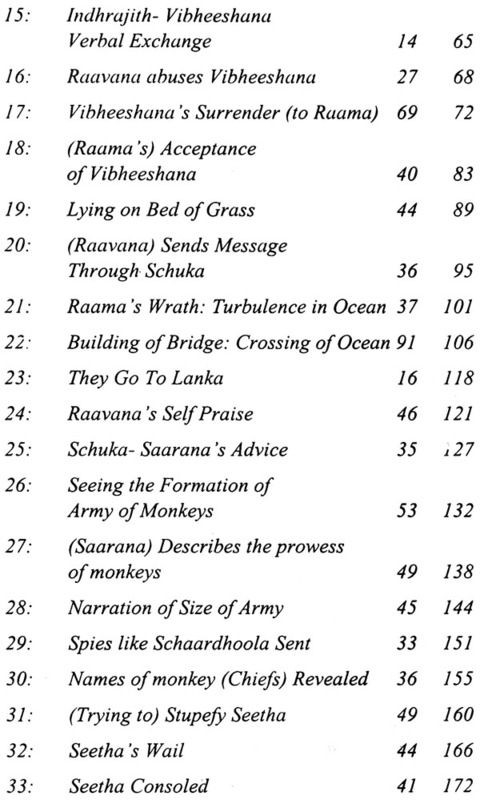 Several translations of Ramayana, word by word, sloka by sloka or in delectable prose are in the market today. 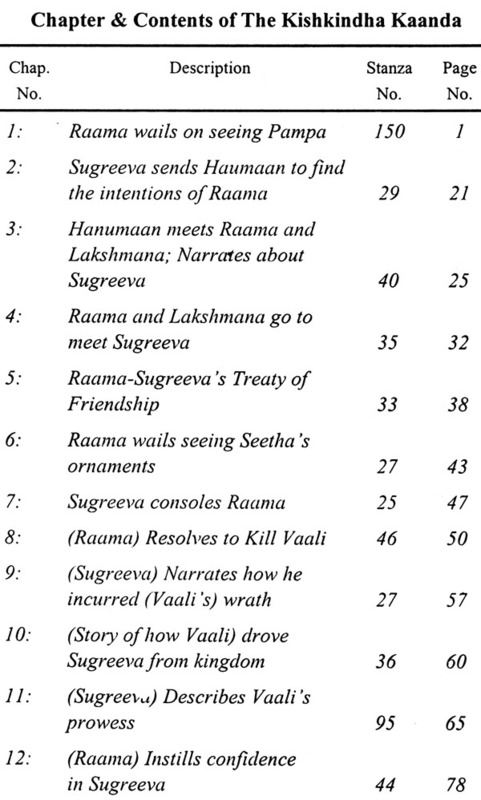 The endeavour of the author Shri L.Swaminathan to bring out a free translation of each of the slokas of Valmiki is a welcome addition to the library of Ramayana literature. 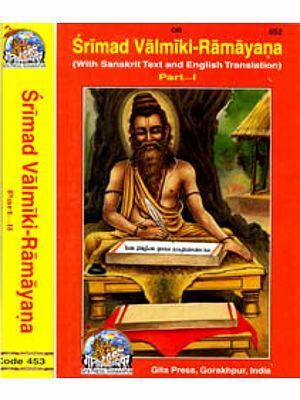 He provides in crisp language the content of each stanza of Valmiki Ramayana, thereby enabling one without or with inadequate knowledge of Sanskrit to study the original text. 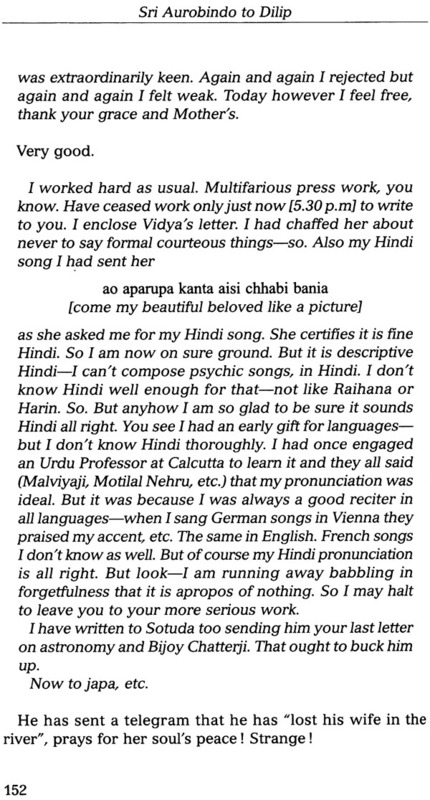 Since the construction of a sentence in Sanskrit is different from that in English, the author has supplemented necessary words in brackets to make the meaning clear to the reader. 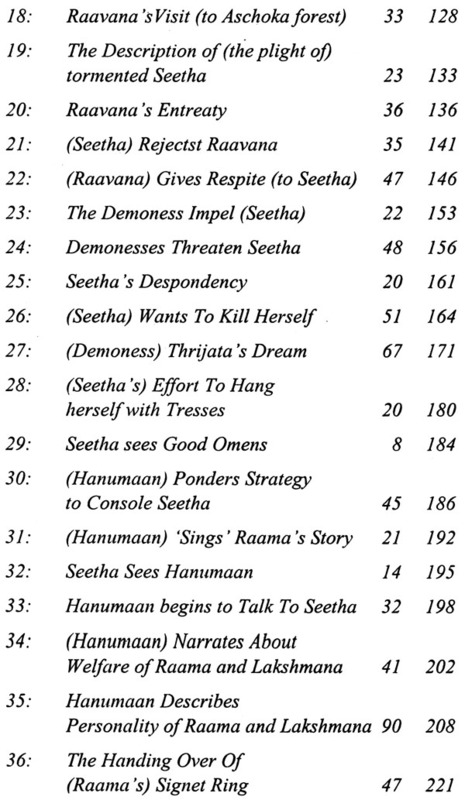 The dialogue between Sita and Hanuman at Ashok Vana is fascinating. 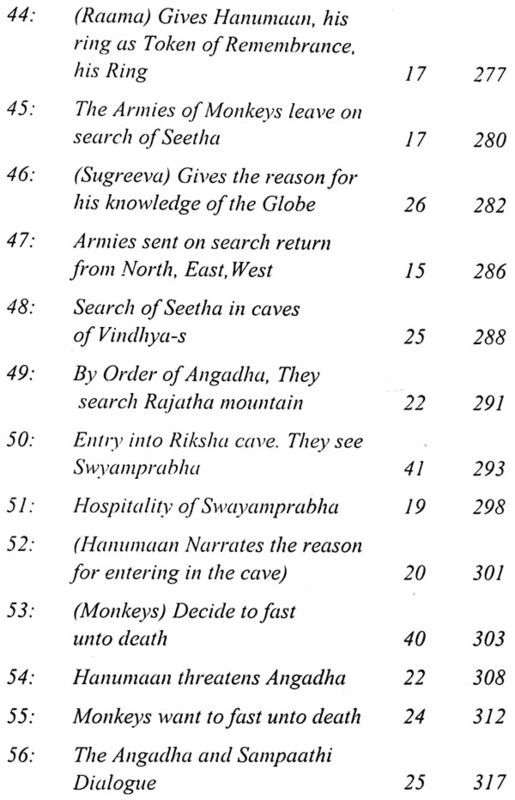 When Hanuman offered to carry in a trice Sita on his shoulders to Rama, Sita though thrilled with the proposal, asks Hanuman, "How do you intend to take me 0 Hanuman to (such) a long distance from this place? Indeed, I look upon the proposal (of yours) to be precisely monkey like. Considering the context in which the meeting of Hanuman and Sita takes place, such a remark from Sita appears to be incongruous. 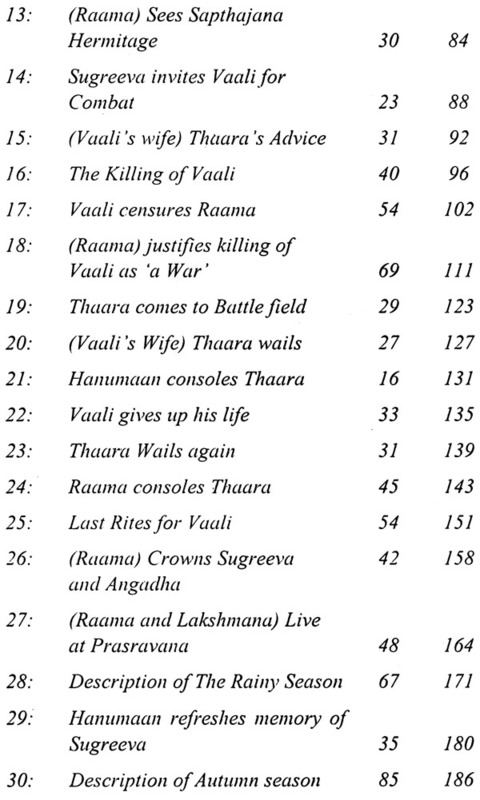 It is said that there had been many' later day insertions into the Kavya by others who carried the oral versions of Valmiki Ramayana. 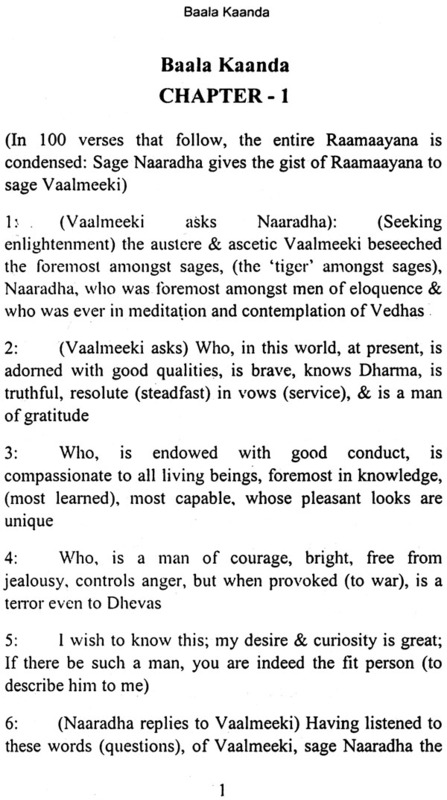 Valmiki who deifies Sita could not have allowed himself such flippancy. 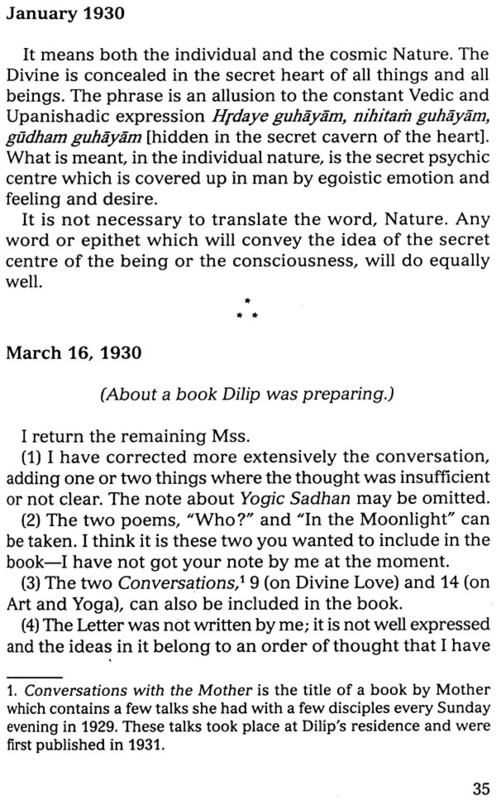 The author has, however, kept himself faithful to the text and his rendering of the slokas in English is impeccable. can a thousand Ramas be equal to you (Bharata)". Ramayana is an inexhaustible source of knowledge, and wisdom based on the indefinable concept of Dharma. In fact, there is no English equivalent to the word, Dharma. 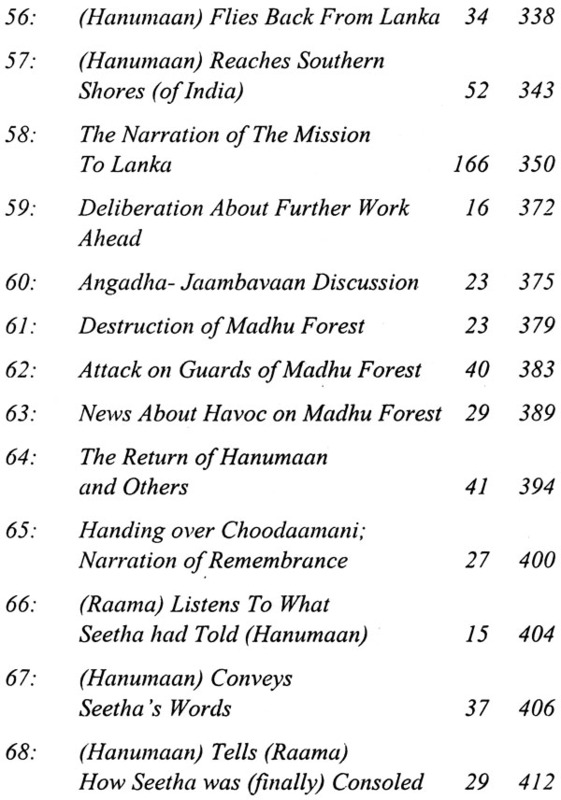 I congratulate Shri L.Swaminathan, whom I had known from his boyhood, on the really substantial contribution he has mode to the vast number of books on Ramayana by adding one more, a Ramayana as told by Valmiki, in English. I am sure the public will find it a source of inspiration. The Epic poem Ramayana is an immortal portrait of our Bharatiya culture and values. 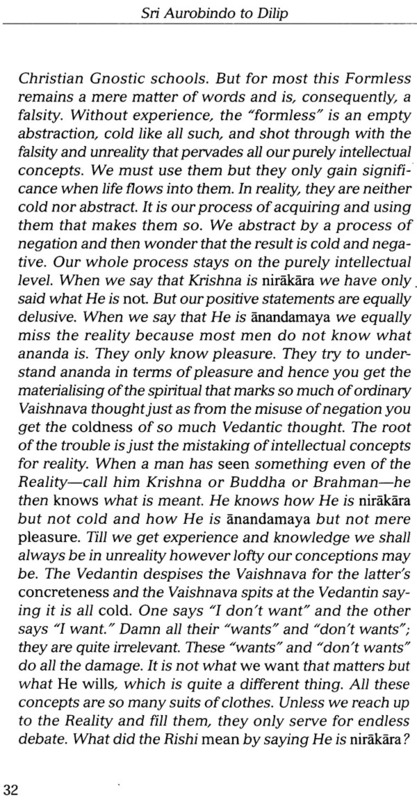 It enunciates and defines our Sanatana Dharma or concept of righteousness in all aspects of our life. 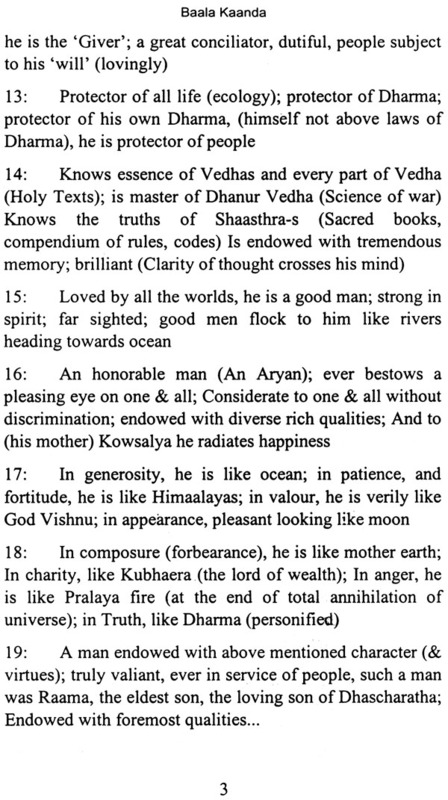 It is venerated as The Adi Kaavya or the first ornate poetry. Its author, sage Valmiki is the Adi Kavi or the first poet. The epic is India's unique contribution to world culture. 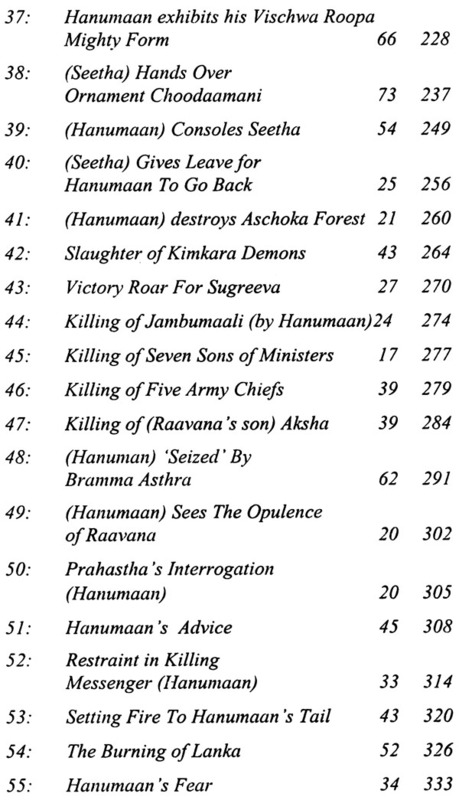 The four important personalities of the epic are Rama, Sita, Lakshmana, and Hanuman. All are deified in the Hindu pantheon. The hero Rama is venerated as an Avatara, incarnation of God Vishnu, as the Maryada Purushothama, and the ideal Dharmic man. 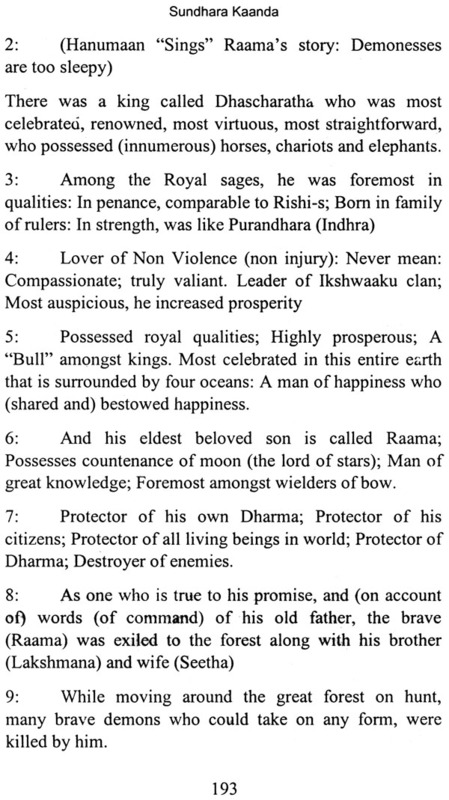 (Raama Vigrahavan Dharmah). Sita is incarnation of 'Srii', Goddess Lakshmi (Sri Iva rupini). As Swami Vivekananda declared "She is the embodiment of the greatest ideal of fraternal companion. 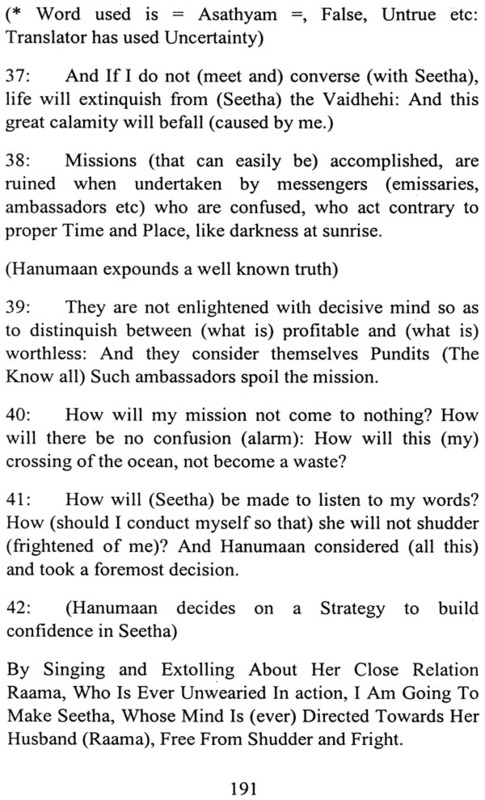 Hanuman emerges as the quintessential associate, an unflinching devotee. 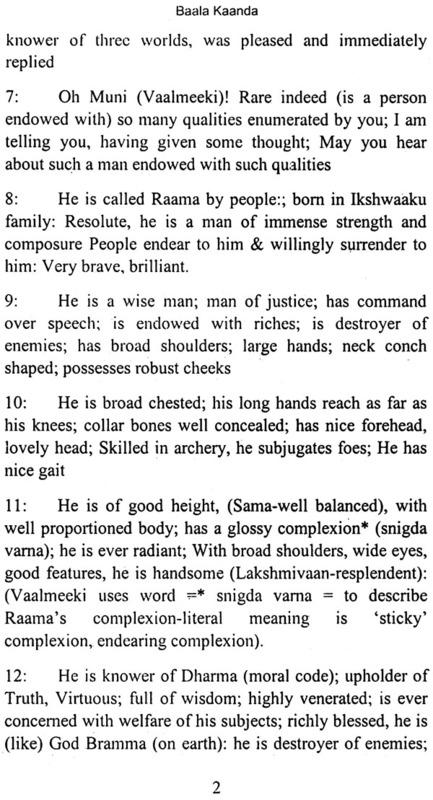 Valmiki Ramayana has many unrivalled qualities that have made it an epic for all times. As Literature, it has no equal. It is a living epic of human idealism. The poetry in Sanskrit, our Dheva Bhasha, is mellifluous, set in Anushtubh Chandas (Metre), is unrivalled in its beauty and simplicity. It consists of about 24,000 stansas (Slokas) divided into 7 cantos. 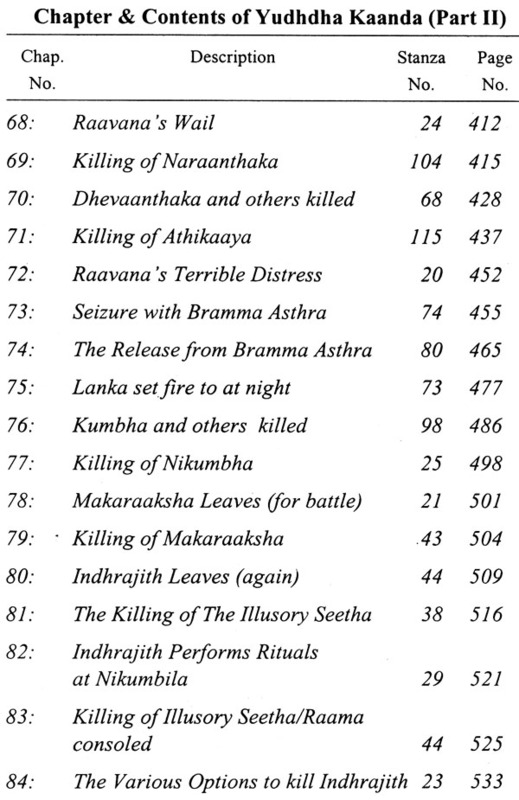 Every thousandth verse commences with an Akshara of Gayathri Manthra (Holy chant). It is an exegesis par excellence, Every Canto and every incident reflects the inner meaning of our Scriptures and Purusharthas. 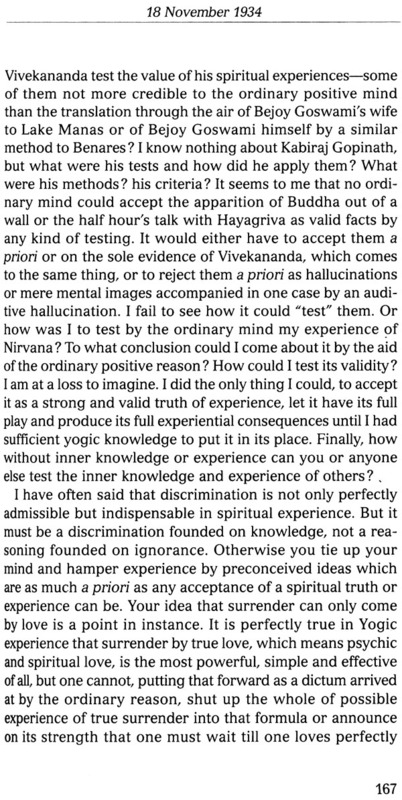 It encapsulates Vedanta. It is Saranagati sara or THE ESSENCE 'OF THE CONCEPT OF TOTAL SURRENDER TO GOD. 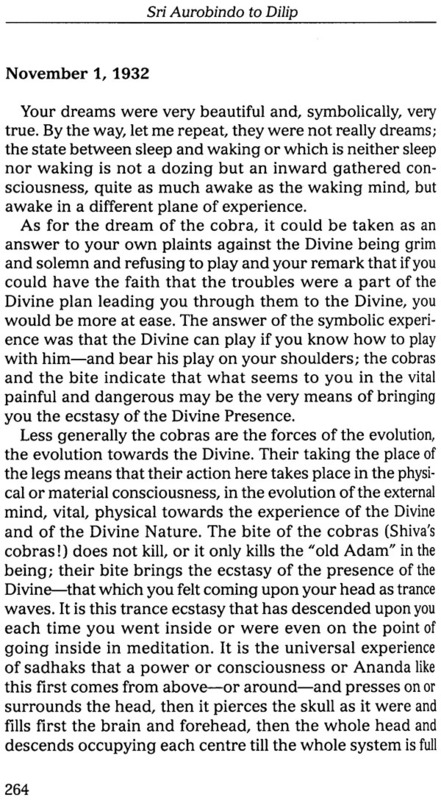 The Aksharas 'ra' and 'ma' are Taraka Manthra (Chants) and their mere utterance is the means to (The Ultimate) salvation. 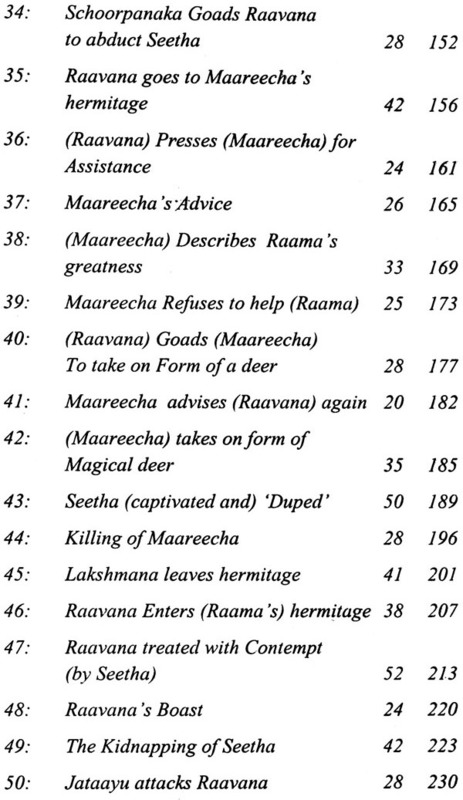 Every word of Ramayana destroys sin. No wonder therefore, for the millions of India households, from time immemorial, Sri Ramachandra is The Prabhu, or God incarnate in worship. 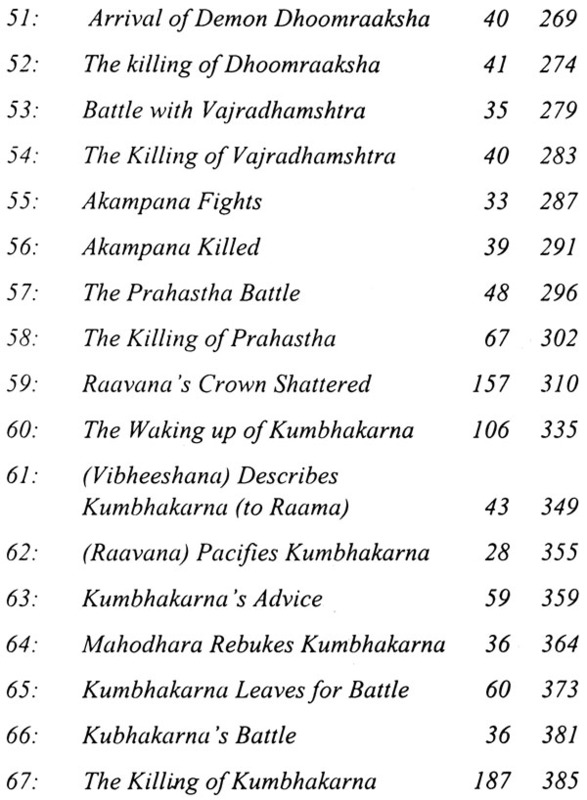 Thus Ramayana is the scriptural guide. 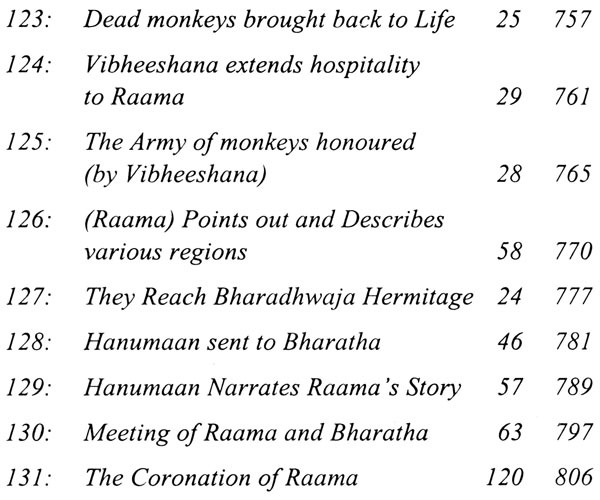 Indeed Ramayana is regarded as the Panchama, the fifth Veda. 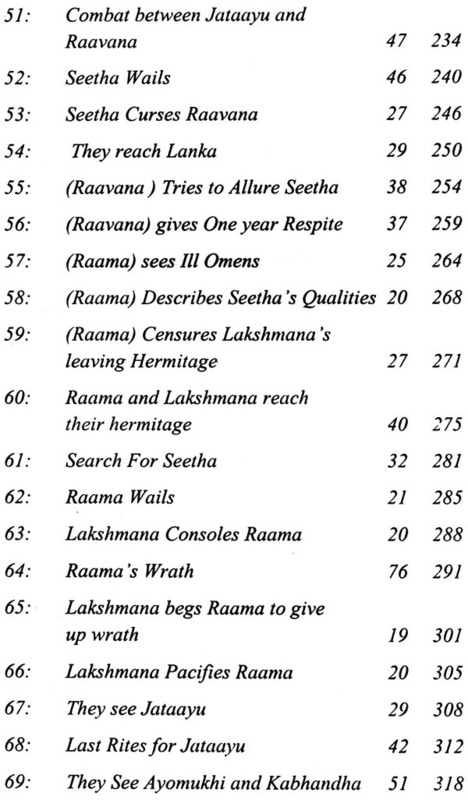 Sages and Seers have retold the story of Rama in many languages of India. Each narration has its own beauty, charged by the innate beauty of the story itself. 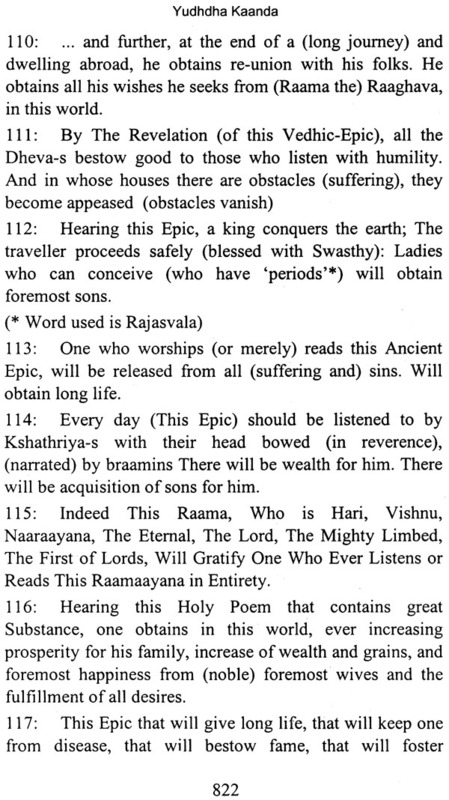 Ramacharitamanas of Saint Tulsidas in Hindi, and Kamba Ramayana in Tamil, hold their own as Maha Kavya (Great Poem). Equally beautiful are the rendering by Kadali in Assamese, Shankara in Kashmiri, Angom Gopi in Manipuri, Ezhuthachan in Malayalam, Balaram Das in Odissi, Guru Govind Singh in Punjabi, GB Reddy in Telugu, Scriptures, paintings, folk renderings and Katha Kalakshepam, have ensured that Ramayana is integrally woven into live tradition. Sri Rama is the everlasting embodiment of our national "Consciousness" and the "Akshaya patra" (Storehouse) or the inexhaustible spring of the eternal values of our ageless national heritage, The Sanatana Dharma. 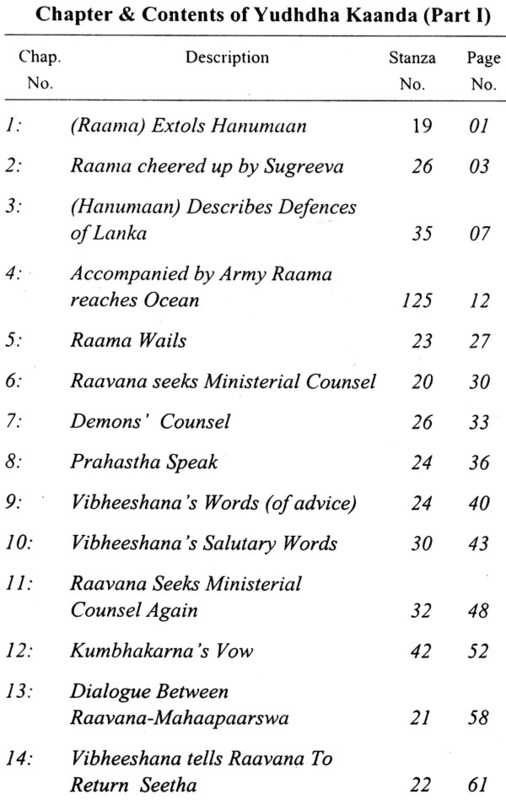 Ramayana's distinct influence can be seen also in all the South East Asian literature and Fine Arts, especially in The Ramakiyan of Thailand, Ramyuan Kakawin of Indonesia, Like in India, in all these countries, Rama is revered as Vigrahavan Dharma (Embodiment of Dharma) common people in charting the path for realization of the Four Purusharthas- the goals of human existence ... "
These Eight Volumes covering 21,000 stanzas in six Cantos (537 chapters) has been rendered in English from the original Sanskrit of Valmiki Ramayana by Sri. 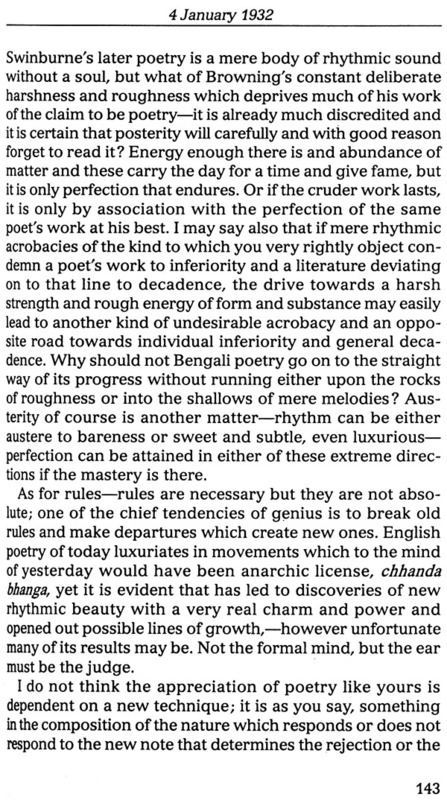 L. Swaminathan, as an inspired, devoted, incredible labour of love. 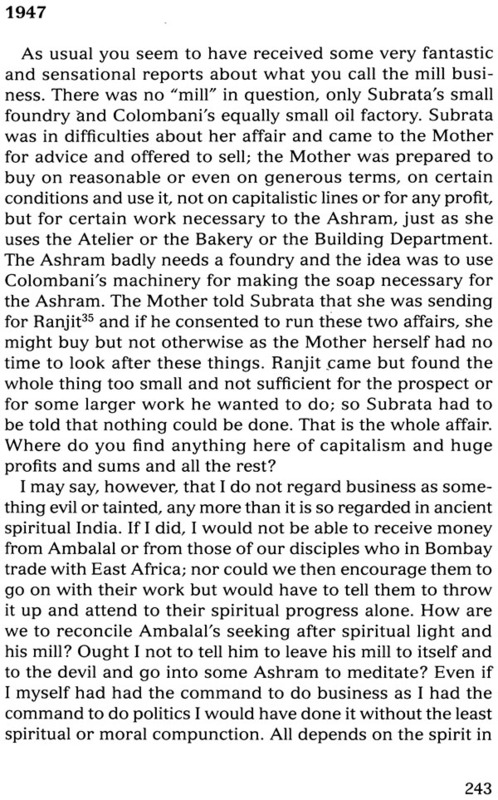 Verily this is Bagiratha Prayatna (Monumental effort), reflecting enormous, dedicated and unremitting labour of Sri. Swaminathan over a long period of time. 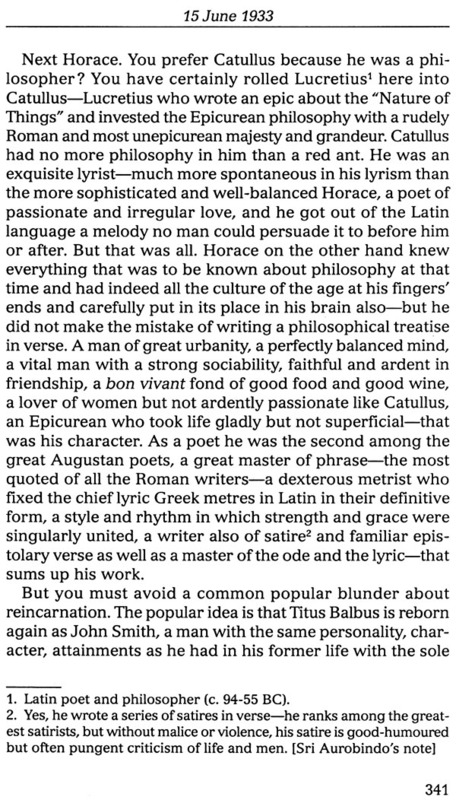 In translations, as the legendary Litteratteur Sir Walter Scott said centuries ago, "... the transformation is normally from Gold to Lead!" But Sri. Swaminathan has ensured that the sheen of the great Epic is retained. 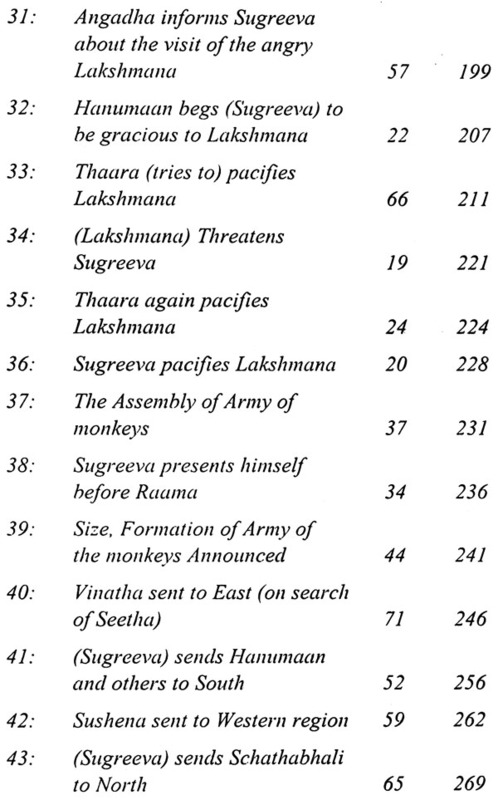 The Bhavan worldwide and legions of Rama Bhakthas in India and the world over are beholden to Sri. Swaminathan for gifting this Gem from Valmiki, this Gem of our national inheritance, for benefit of mankind. 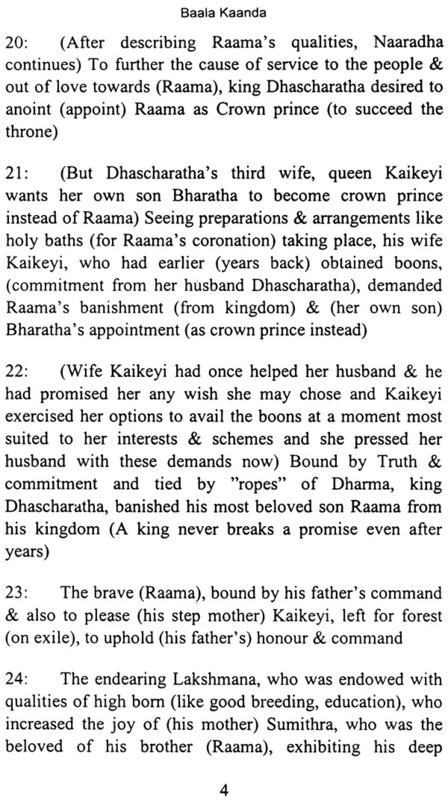 This concept, preparation and publication of The Ramayana in English rendering, covering almost word by word of the Original, is perhaps unique. 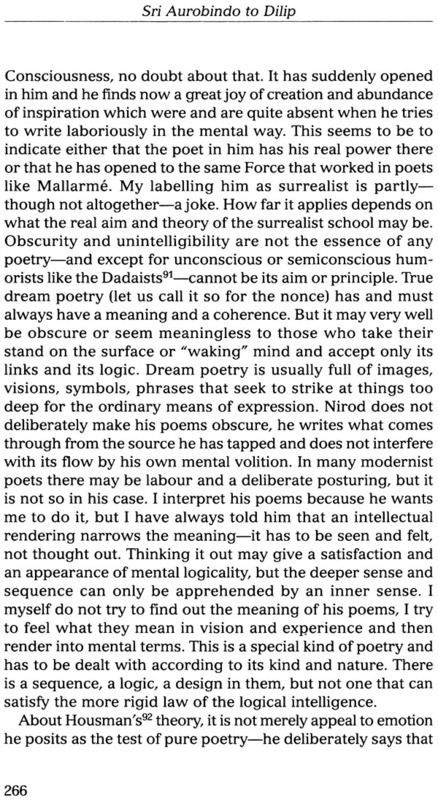 This work is relevant today when we are 'blinded' by the stormy and self destroying winds of 'materialism', 'consumerism' 'hedonism' and de humanization. 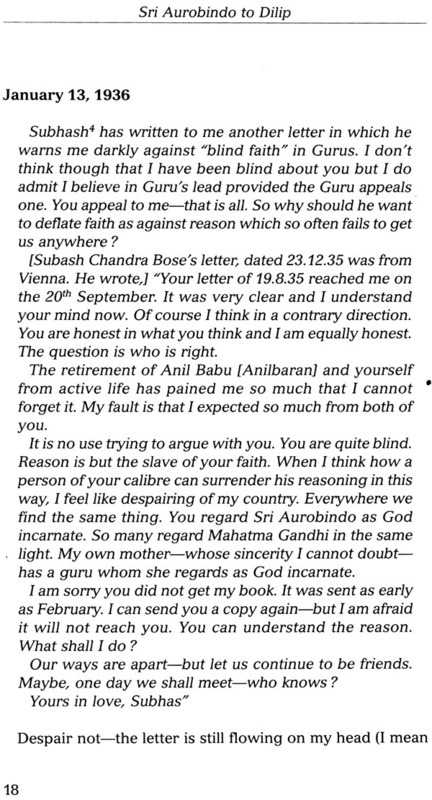 As pointed out by Swargiya Poojya Rajaji in his Preface (I quote again) "... the real need of the hour is a re-communion between us and the sages of our land, so that the future may be built on 'rock and sand' ... "
Together with The Mahabharatha of Maharishi Krishna Dwaipayna Veda Vyasa, the Ramayana of Adi Kavi Valmiki has been a source of great inspiration to our great National Leaders, like Mahatma Gandhi, Sri. 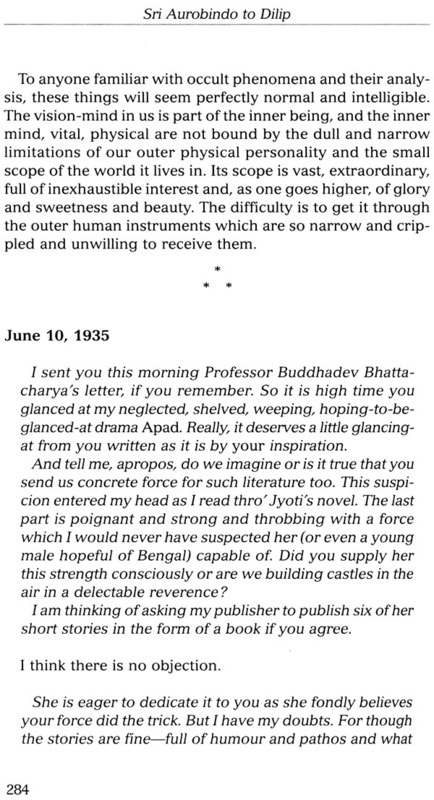 Rajaji, Rt.Hon 'ble V.S. Srinivasa Sastry, to name a few. 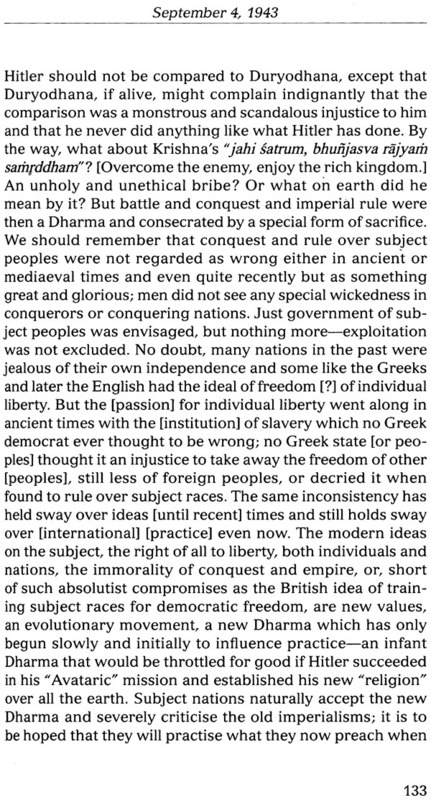 As Jawaharlal Nehru, our first Prime Minister, asserted in his great book The Discovery of India, (I quote): "I do not know of any book anywhere which has exercised such a continuous and all pervasive influence on the mass mind as these two (The Ramayana and the other Epic Mahabharatha) Dating back to a remote antiquity, they are still a living force in the life of Indian people... "
Rajaji observed in his Preface to his books Raamayana and Mahabharatha (Bhavan's book University publications- now in 37th Editions and still going strong and in great demand), " ... 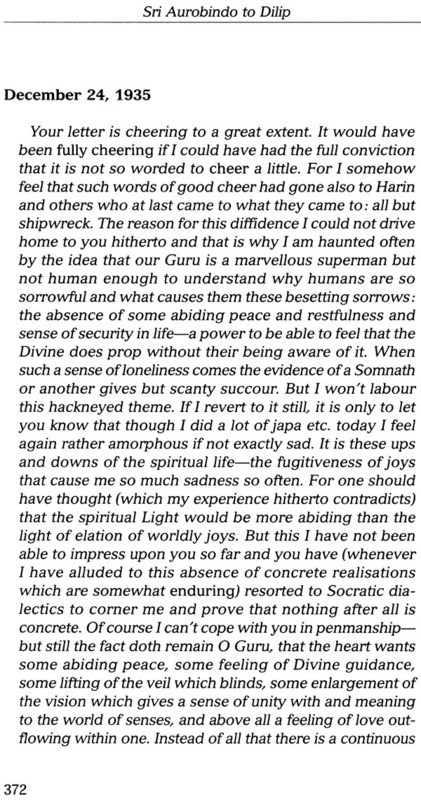 The mind and spirit of our forefathers who cared for good ever so much more than for the pleasant and who saw more of the mystery of life than we can do in our interminable pursuit for petty and 'illusory' achievements in the material plane ... " By its Gospel of Dharma which, like a golden thread, runs through all the complex movements in these two Epics, by the case of their lesson that Hatred breeds & begets Hatred, that covetousness and violence lead immutably to ruin, that the only real conquest is in the battle against one's own lower nature. 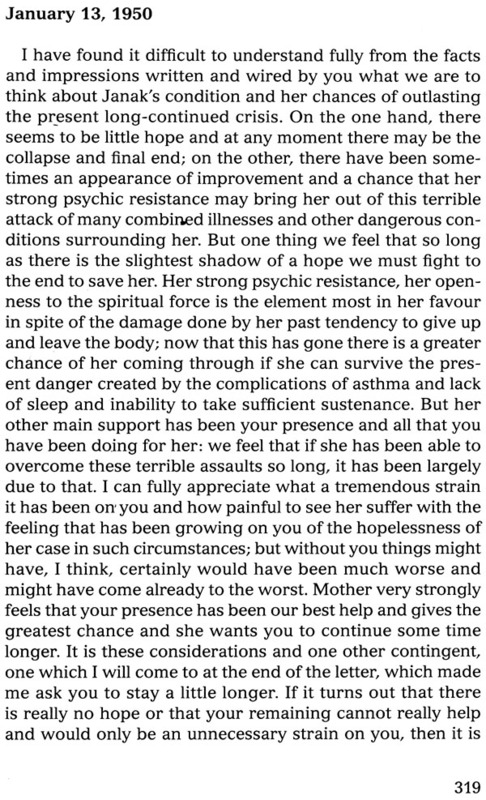 (Sathrugna, the Nithya Sathrugna). 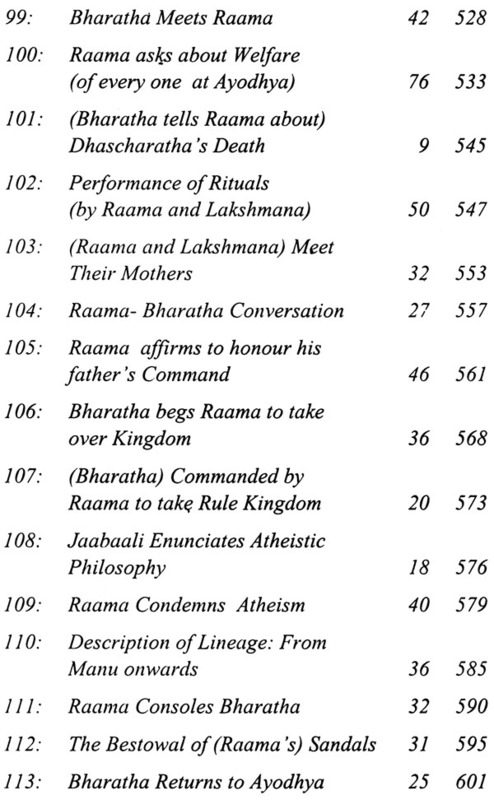 Rajaji continues "... there is a tendency to look upon The Ramayana as mere Mythology. However, mythology is as essential as the skin of a fruit to preserve its essence. 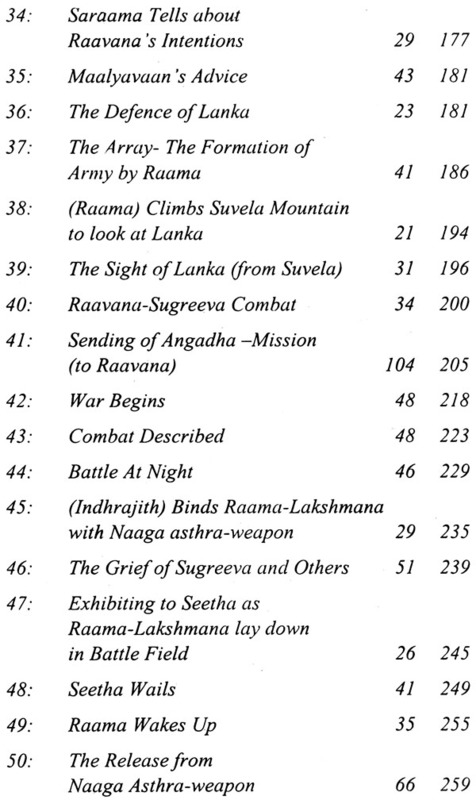 The Ramayana is all-comprehensive, embracing Mythology, Religion, Philosophy, Poetry etc. revealing different facets of our rich, immortal inheritance. It helps all. Raamayana and Mahabharatha constitute our twin immortal National Epic which are India's greatest pride and cherished-treasure.